OMG the PROOF;We've all been waiting for and it's here now! This cant be the wind or a bit of swamp gas? This is in fact a little crab like critter. It's life on the red planet. 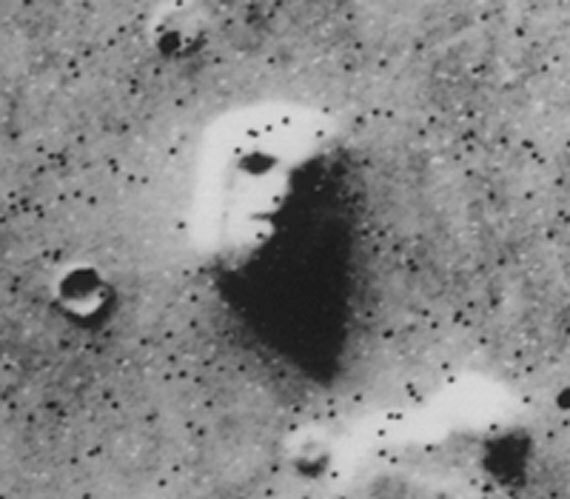 Remember the face of Mars? 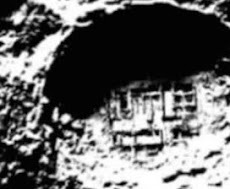 That's still there but has been blurred out by NASA so called scientists, more like professional liars. If you want proof just go on over to Wikipedia. Link to this Secureteam10 video. 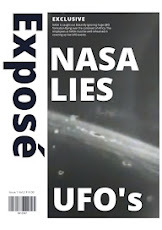 But knowing them, so and so's that they are they won't admit it NASA that is? If you ask for an answer you get a fully pre prepared script from a team of spin doctors that depending on that specific day, you'll either get swamp gas, weather balloon, Chinese lanterns or a DIY rocket enthusiast? 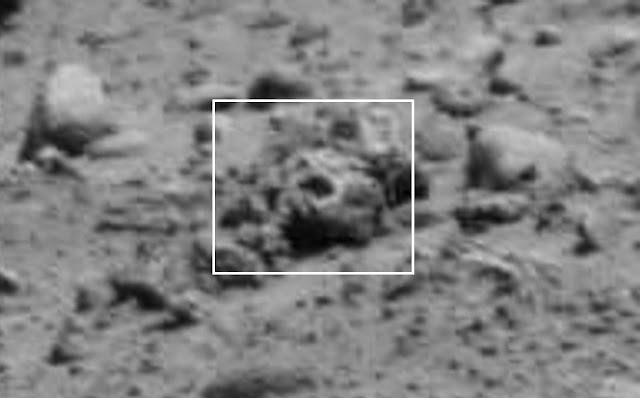 Ok so I've covered lying scum bags, face on Mars, blurred out photos.. Oh yeah, "Crab like Alien" bug, on Mars. The phantom Crab. Why NASA release this stuff then totally deny it is absolutely beyond me? 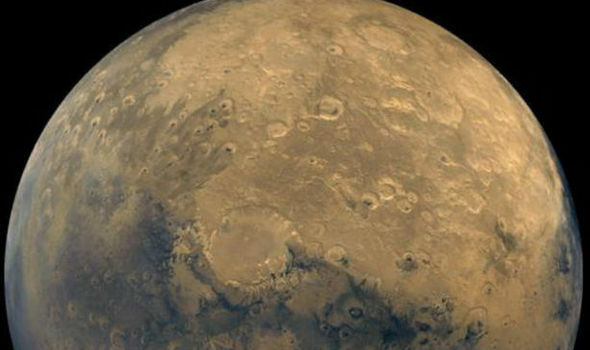 NASA think's either, we won't see it or they think we're stupid enough that it will go over our head as a bit of Mars wind? It relates to swamp gassy wind I suppose? 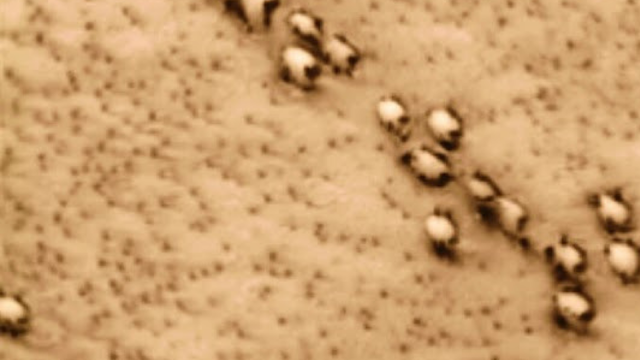 Then there's this other bug on Mars. It's life Jim, but not as we know it? I have a whole host of images from Mars that show life once was on Mars. 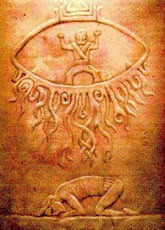 Skull and bones, huge complexes, drilling sites, radar and or microwave dishes. There's monuments, structures, domiciles, mechanical wheels, infrastructure, pipes and dishes. So my final thought is this, Aliens once lived on Mars and the bugs that are left behind are like cockroaches would be left on earth after a nuclear war wiped out humans? Or something like that? Aliens need food I suppose? 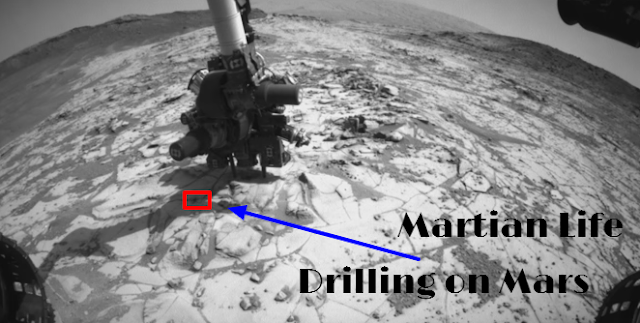 The alleged footage of the Martian food chain in action was filmed by the NASA Curiosity rover droid as it drilled into the surface to take samples. 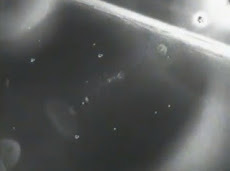 A clip has been made from the footage by YouTube channel Mars Alive, which seeks out evidence of life in NASA pictures and videos, alleging that it shows the small alien predator feeding on an even smaller creature. The video, entitled "NASA What Has Curiosity Rover Detected Here? Explain!!" has attracted thousands of views. 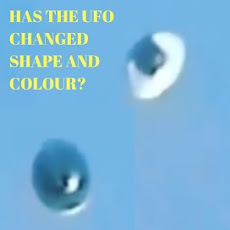 UFO chaser Scott C Waring, of ufosightingsdaily.com, agrees it is proof of alien life. 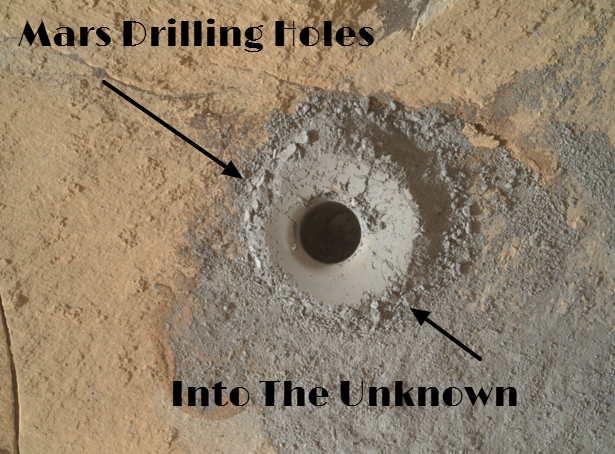 He blogged: "Here you see the Curiosity rover drilling into the dirt on Mars and as it is, a small critter is seen walking away from the drill area. "To top it off, the small creature walks just a little way, before something even bigger stretches out from below a rock and snags it. It is very extraordinary video footage to say the least. 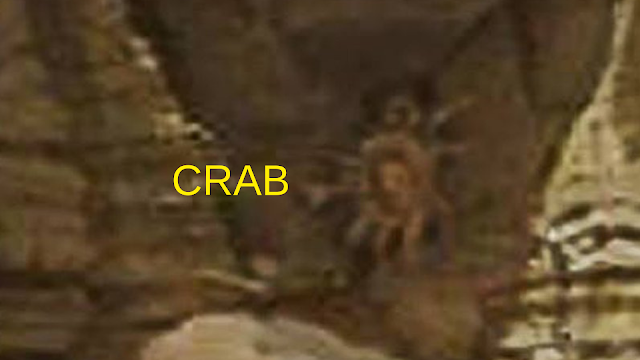 You see the creature using the shadows of the Curiosity Rover to dodge and hide within (maybe it has to do with their sight) the shadows so that's something for experts to look in to, because we not only see a crab like bug, we see it's behaviours also? 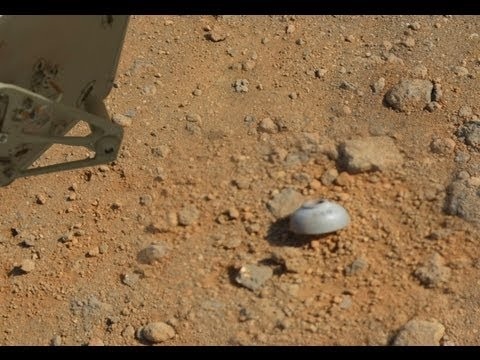 The first bug is using the Rover to bring it out and then stalk it and eat it. 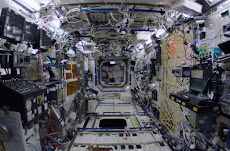 This is a one off event that NASA won't let happen again? But now with other countries involved in the space race like China and India, who knows what the future might hold? Russia recently warned the US that if it doesn't tell the public then Putin will? 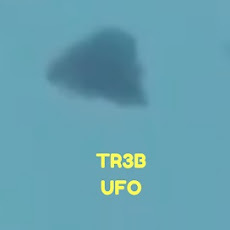 It is worth remembering that the amount of credible videos coming out of Russia showing downed UFOs and crashed mangled Alien bodies of Aliens is getting more and more. To say Russia never had it's own Alien technology, back engineering program is laughable. But not as nearly as successful as the United States? Let's not forget that the USA tried to bankrupt the USSR in to fighting a fictitious war to win the moon, so the US had a start over the Russians. That was a time in history when Russia really let their guard down and was taken advantage of. The US really did play a number on them with that. The amount of UFOs over Russia is dwarfed by the sightings over the USA and tells me that the US is indeed in the lead with reverse engineered technology and are having better luck with it. The Russians got in to it late in the game when they literally downed their own UFO and well that's history. Hopefully Putin will explain all to the world?